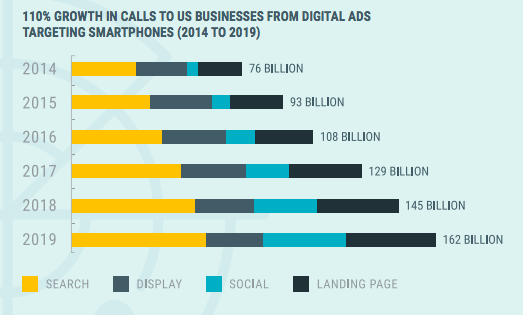 Calls to U.S. businesses from search, social, display, or other paid ad campaigns ads have grown 110 percent since 2014. That represents a total of 162 billion calls in the United States alone each year. With so many consumers converting by calling businesses, it’s critical that marketers are able to track, attribute and report on calls. When marketers include offline call conversions alongside web based conversions they can provide a complete picture of the value they bring to advertisers. Call extensions and call only ads. Google phone number provisioning and call tracking. Offline call conversion importer with revenue attribution. If you haven’t realized the value that phone calls are bringing to your marketing campaigns, it’s because you aren’t tracking them. 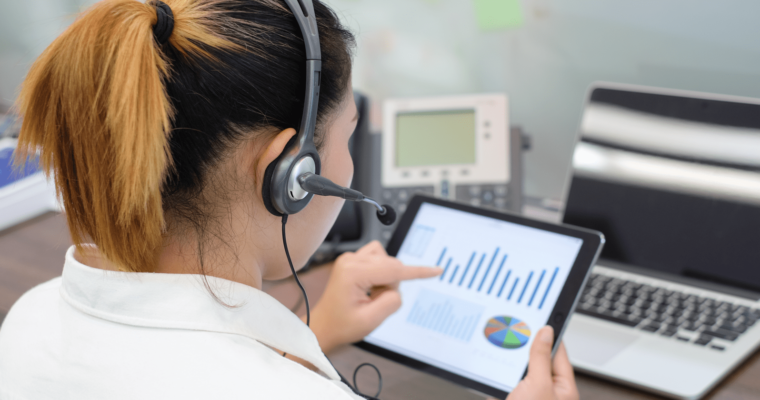 If you’re on the fence about using call tracking or getting connected to a call tracking provider, read on to see if any of these signs apply to you. While really anyone running ads that has a number on their website should be tracking calls, inbound calls are particularly important for certain industries. In the healthcare industry 88 percent of patients book on the phone and similarly 75 percent of people looking for insurance do so by calling. In a recent e-book (download required), DialogTech identified 25 industries where call tracking is driving revenue. 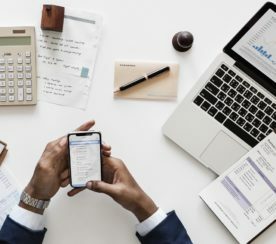 Advertisers in any one of these industries should make sure that they have a website with a phone number helping people connect, get questions answered, and ultimately convert advertising efforts to revenue. To be able to report on the value of online advertising efforts including calls from ads, marketers need to set up call tracking. Once this is done, the website will show the dynamically replaced call tracking number to the site visitor allowing the marketer to see PPC calls segmented out from the other traffic sources in their call tracking dashboard. Calls are also particularly important because they can produce higher quality leads. Calls convert 10-15 times more often than web leads. There are many success stories that point advertisers to call tracking. Whether it’s that irreplaceable human quality or the convenience of instant information, calls are an important source of leads to any business and provide important data to the advertiser. Understanding how paid, organic, and referral traffic are influencing call conversions helps you understand where to focus your efforts. If the call comes from PPC, you will want to get more granular to understand which campaign and keyword are driving more calls. Google Analytics provides insight as to what’s happening online. But when there is no click event – GA is blind. With a call tracking provider marketers can enable dynamic number insertion (DNI) on their site to dynamically show each site visitor a dedicated number by medium (CPC, organic, referral). People who clicked on a paid search ad would see one number. People who clicked on an SEO listing would see a second number. Everyone else would see a third (or the actual business #). This will allow each call to be tagged as ‘paid search’, ‘organic’ or ‘other’ and let you segment calls from paid search in your reports. Many call tracking providers tie the offline call data back to GA so that marketers can provide a holistic view of web based and offline calls broken out by mediums. These insights can also help you provide recommendations to inform customer acquisition strategy. With call tracking and dynamic number insertion you can even show local numbers to people based on where they are searching. Why is having a local number important? Toll-free numbers indicate to callers a large potentially international business. Toll-free numbers make people feel like they will have to talk to a person in a call center, that can leave callers waiting and occassionally frustrated with the service they receive. 86 percent of consumers trust their local business quality over national and international companies. Imagine, you have a client serving consumers in New York, Philadelphia and Boston. Having a toll-free number on the site can result in lost opportunities when consumers with strong buyer intent abandon their journey because they’re turned off by the 1-800. By providing a local number to web searchers in each city, marketers can send positive signals to local searchers and increase call leads and even subsequent conversion rates. There are two basic types of call tracking: 1-to-1 call tracking and session-based call tracking. With 1-to-1 call tracking, DNI delivers a unique call tracking number for each medium, specific ad platform, campaign, ad group or keyword you want to track. It is 100 percent accurate, but becomes cost prohibitive if you want to track more granular campaign entities. Consider an advertiser with 20 campaigns, 500 ad groups and 5,000 keywords. You would need to provision 20 call tracking numbers to have campaign level attribution, 500 campaigns to have ad group level call attribution, and 5,000 numbers for keyword level attribution. From the thirst for keyword level call attribution, session-based call tracking was born. With this kind of call tracking you assign a pool of call tracking numbers to a site based on the typical number of visits you get to the site for a particular traffic source. 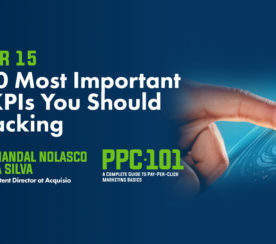 If for example you get a maximum of 16 PPC clicks per hour, you’d buy 16 numbers. These numbers rotate every hour so each paid click will result in a different number shown to each visitor every hour. The call tracking technology also stores all the web sessions and correlates clicks to calls using advanced heuristic logic. 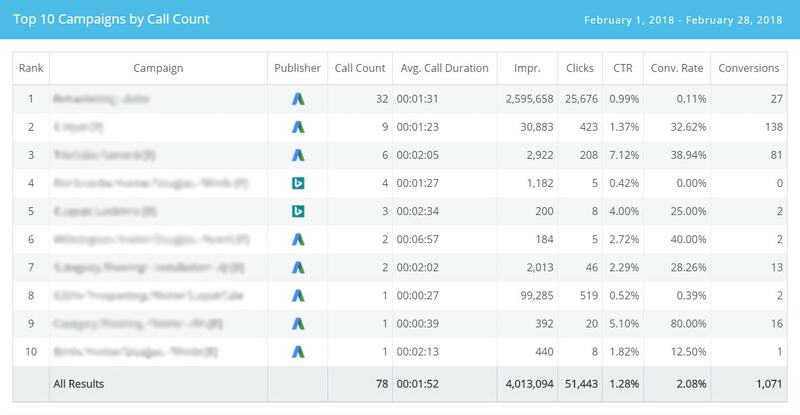 It is less accurate, but provides more granular insights into the keywords driving calls. Many call tracking companies partner up with bid management platforms to integrate calls to paid search campaigns, to inform optimization strategies and report on calls in unified omni-channel reports for their clients. There are two ways to attribute revenue to calls. For example a contractor will probably be able to provide an estimate regarding their average revenue value for each call/lead they get. Then marketers can assign a multiplier to each call so they can report on the revenue from the calls being generating and provide an ROAS metric. Not all call tracking providers are equal. Marketers should look for a provider that has to have the ability to track revenue associated with calls made to call centers and/or stored in CRMs. There are lots of creative ways to work with clients and call tracking providers to enable this invaluable revenue attribution. Call scoring has always been important to marketers. In some cases clients want a better understanding of the call quality and challenge marketers on the reported calls. Having call scoring data is really helpful during these conversations. The first call scoring was reserved for brands and marketers with large budgets and big ticket items. In the early days of call scoring, some call tracking providers working with automotive companies used crowd-sourced ‘humanatic’ call scoring, paying people to listen to calls and rate them. However, with advancements in voice recognition and machine learning, several call tracking companies have invested in automated call scoring technologies that are quite effective. Marketers can arm themselves with call scoring data and help reinforce the results of reporting on campaign performance to clients. Call tracking can teach marketers a lot of things, including when their client’s business is getting calls. By pulling call detail reports segmented by hour, marketers can understand when people are searching for and calling a business. This can then inform ad scheduling strategies for example. Based on this data marketers can also allocate budget to peak business hours and maximize return on ad spend. Call detail reports can also provide advertisers information about the average time they spend on a call. As marketers we can help inform businesses with this type of data and its associated implications. For example, call length can suggest a certain level of call quality, but other conclusions can be made as well. If the average time on call is more than 10 minutes and you’re a nail salon, you may want to consider adding more information for customers about your business and services online, for example. Business owners will also find data around average call times valuable to determine how engaging their call representatives are with customers on the phone. Call tracking provides marketers with both qualitative and quantitative information. Call recordings give marketers and business owners information about call details and conversations. 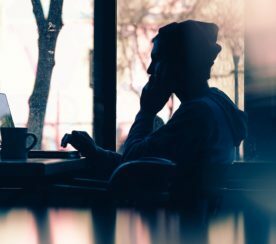 This type of information is particularly useful to assess the quality of customer service and employee performance as previously mentioned – typically out of scope for marketers (although data and ideas about how to build customer relationships and improve retention could certainly reveal itself inside call recordings). Marketers tend to focus more on the quantitative and analytical data that call tracking provides. How website traffic responds to call ads, website phone numbers etc. Cost of acquisition and how to reduce it. The marketing value of call tracking including ROI. Which channels generate the highest quality leads. What role call tracking plays in attribution, including detailed buyer journey insights through dynamic number insertion (DNI) and going beyond just last-click models. Call tracking allows marketers to get granular on an otherwise low visibility channel. With call tracking enabled you can provide insights on what happened after the consumer made the call. Using call status as a metric you can inform the advertiser that of the 100 calls generated last month, 65 were answered, 10 went to voicemail, 8 got a busy signal, and a whopping 17 were not even answered, for example. When segmenting this data hourly, you can start to surface actionable data that your client will likely find really valuable. For example you could show that between 2 and 3 p.m. there were a bunch of unanswered calls or that between noon and 1 p.m. there were a lot of busy calls. Now you’re adding value to your clients business process and taking your relationship to the next level. Author’s note: I would like to extend a special thanks to Keith Meagher for his contribution to this post.